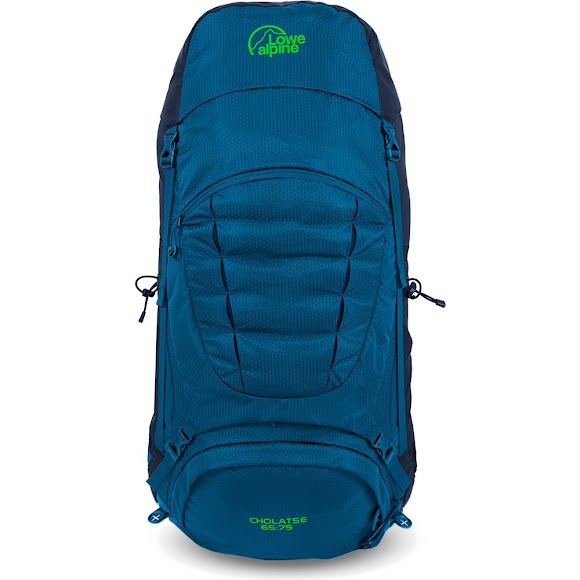 When it is time for a new adventure, pack up and head for the mountains with the Cholatse: the lightweight pack ideal for multi-day trekking and backpacking excursions. Lightweight trekking has never been this good. The Cholatse features an adjustable, ventilated back system, dual compartments and front and lower entry options. Expandable capacity allow you to carry more when you need to, often with floating lids. The volume is expressed using two volume measurements i.e. 65L/75L. Measurements Reg: 30.7" x 15" x 13", Lrg: 30.7" x 15" x 13.8"